And the same to you, sir. That’s what you get when you elect a Latin American Marxist Pope. I’m not Roman Catholic, but I really wonder what the College of Cardinals was thinking when they elected him. 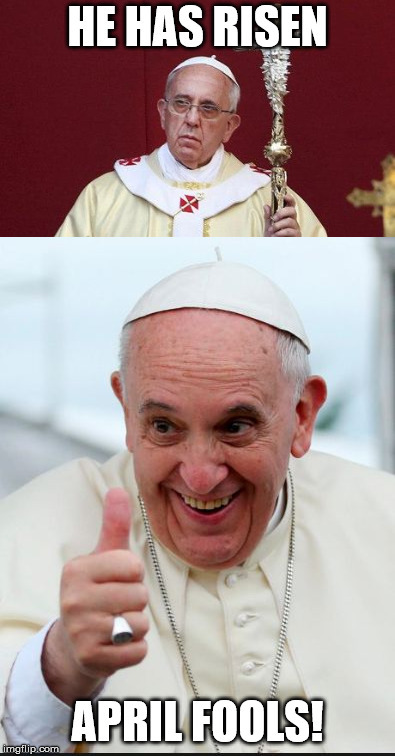 I predict that it will be a Pope who winds up being the False Prophet spoken of in Revelations. That could just as easily be a false prophecy too.